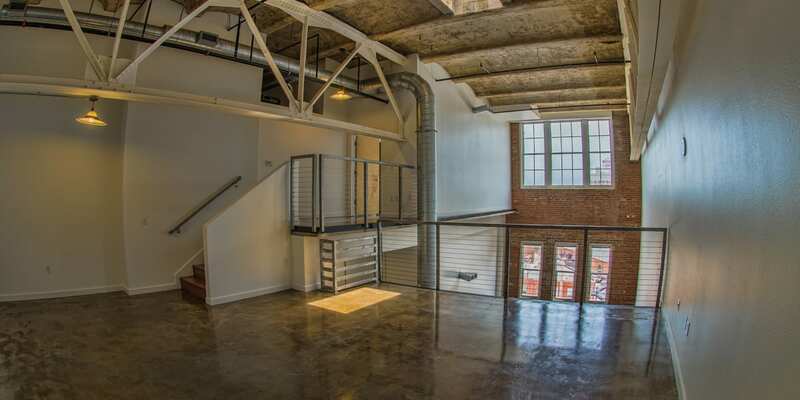 Quaint two bedroom loft located in the heart of the Garment District in Downtown Kansas City. Colorful brick walls, heavy timber beam ceilings and large windows offering amazing views make this apartment very special. Other features include an updated kitchen with stainless steel appliances, two large bedrooms with separate bathrooms and Google Fiber. Trolley Park is adjacent to the Garment Place Park on 8th Street, this picturesque urban park is commonly referred to as one of the most beautiful spots Downtown. Property amenities include a modern fitness studio, resident lounge, yoga studio and free laundry. Call us today to schedule an appointment (816)-842-6544. Amazing price on a one bedroom loft with a large balcony located in the heart of the Crossroads in Downtown KC. This apartment features a large private balcony, original hardwood floors, soaring ceilings and large warehouse windows offering breathtaking views of the City. Stuart Hall is a pet friendly building. All the apartments have washer and dryer hookups and Google Fiber. Stuart Hall #602– This amazing Crossroads penthouse is on special for only $2,500/month. 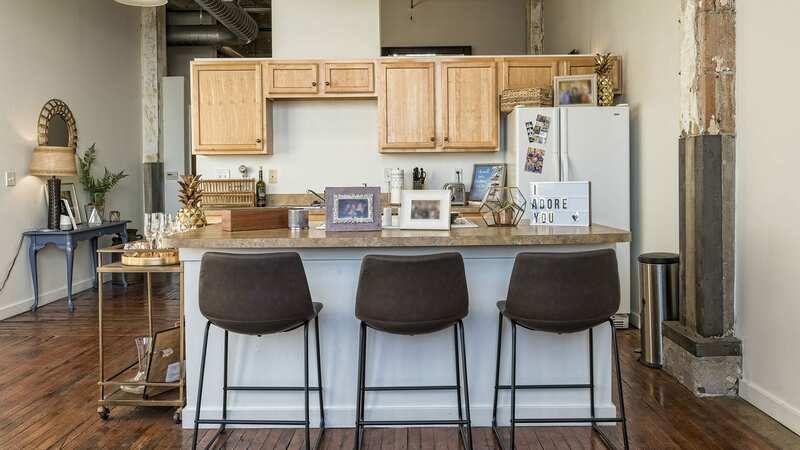 Amazing price on a pet friendly one bedroom loft located in the heart of the Crossroads in Downtown KC.